I definitely am not a fan of cleaning. Especially the deep-cleaning part where you cover every small area of your home. One of the things I used to hate cleaning was my sink. I knew I needed to do it from times to times but I always found myself postponing it because I hated it so much. Monster Cleaning, a cleaning company which I always book whenever I need extra help or I don’t feel like cleaning, told me a hack that I couldn’t wait and share with you (The gave me consent, of course). It completely changes everything. Basically, it’s a recipe for a scouring powder. It only has three ingredients making it so easy to make. You need citrus peel (dried and ground finely), baking soda, and salt. This will remove dirt and grime so easily. And it also smells so good. So how can we make it? Take the peels and tear them into small pieces. Leave them somewhere dry and warm so they can dry quicker (I usually leave them beside my fireplace). This process might take a day but it might take a couple of days. The peel needs to be hard and dry. After that place them in a blender. You need to turn them in a fine powder. Add the baking soda and salt and place them in a jar. That’s it – you are ready. The first thing you need to do is test it – that’s what you always do regardless of what you use. If you are happy – proceed with sprinkling the powder onto where you want to clean. Get a damp cloth and scrub the area. Add more powder if needed. Once you are content with the results – rinse it down. This powder works great on ceramic sinks and toilets. For the acrylic baths/ showers or metal sinks – it can be too aggressive. If you need something more gentle swap the salt with a borax substitute. If you do decide to use borax make sure you really rinse it since it’s very hard to remove once it dries. Where should I store my powder? Keep it in a jar. You can use it for around a month. You have recently bought a house with a patio and now you are wondering how exactly you should clean and maintain it. If that is your case, don’t panic and keep reading because we have some very helpful patio cleaning tips from you. Always start by removing the clutter from your patio. This means that you must throw away all the rubbish that is located on your patio and put in place all the items that are on your patio but don’t belong there. 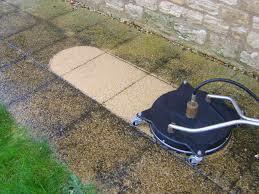 Next you must sweep or rinse your entire patio until all the dirt, dust, debris and leaves are removed from it. Now check you see whether any weeds are growing through your patio. If you notice weeds, remove them immediately. You can remove the larger weeds by hand and the smaller weeds with the aid of kitchen knife. You can also sprinkle salt or spray weed killer onto your patio to kill the weeds permanently. If your patio is made out of concrete you can clean it by making your own cleaning detergent. Simply mix one cup of bleach with a liter of water into a bucket. 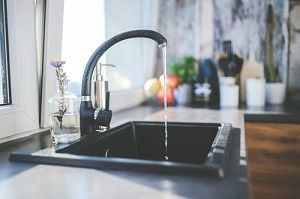 If you don’t want to use bleach you can substitute it with brown soap but known that brown soap isn’t as effective as bleach when it comes to resilient stains and spots. Next dip a stiff brush in the bucket with the patio cleaning solution and begin scrubbing your patio. 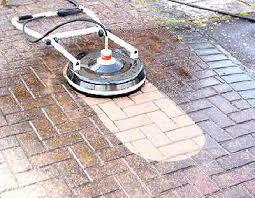 If you patio is too dirty, then pour your cleaning mixture onto the patio and allow it to sit for a couple of hours before you commence the scrubbing. Once you are done scrubbing rinse your patio with fresh clean water and allow it to air dry. The next day rinse once again your patio because sometimes bleach residue can be hard to remove. If you patio is made out of stone instead of concrete then mix one cup of brown soap or soda crystals to a liter of water. Once your cleaning solution is ready, pour it onto your stone patio and start scrubbing. Once again use a stiff brush and scrub as vigorously as you can to removal all the stains and spots. Now let the cleaning detergent sit for about ten minutes and rinse your patio carefully with clean water. If your patio is made out of wood then you should get a commercial wood cleanser and use it for the cleaning of your patio. Make sure that you read the usage instructions before you begin the patio cleaning. And finally we couldn’t have done it without the help of the good people from cleaningserviceslondon.net – probably the best cleaning company in London. Many of the interior paint systems used today are water washable. 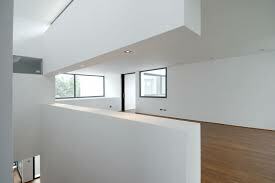 However, you need to be very careful when cleaning the walls in order to avoid damage to the surface. If possible, check the cleaning instructions on paint canisters if you still keep them. If not you can always visit https://monstercleaninghorsham.com/ and be worry free. Fill up a bucket with lukewarm water, get a soft sponge. In a spray bottle, mix half a litre of fresh water with one or two tablespoons of mild detergent. Spray a sparing amount of the water and detergent solution on the wall surface. It is best to work in sections. Once you treat a section of the wall, let the solution sit on it for five or so minutes. Wipe off any excess drips during the process. Gently dab the sponge over the treated sections of the wall. Wash out your sponge in the bucket after each use – this is essential to avoid water smears on the wall. Let the wall air dry, don’t touch the surface while wet. Vacuum or dry mop the wood floors before cleaning them. The more often you do this, the less cleaning you will do. 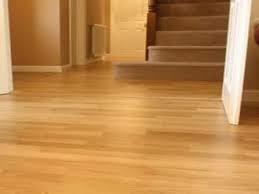 The longer hard particles and dirt sit on the floor, the more chance of damage to the floor’s wax or lacquer finish. If your wood floors are in decent nick, you can clean them using a damp mop, right after vacuuming. Remember the mop must be damp – NOT wet. In case you need to remove certain stains, treat them locally using only a small amount of dishwashing liquid, or a cleaning product recommended by the manufacturer or supplier. Wipe excess cleaning product properly in order to avoid staining when dry. Scuff marks and scratches can be a problem to remove in some cases. In such instances, don’t treat the floor using aggressive cleaning solvents, and don’t subject the floor to rough mechanical cleaning. Consider professional cleaning and maintenance assistance. Mattresses and rugs can be notoriously hard to clean properly if you are not using a professional company. Avoid frustration and risk of damage during cleaning with these easy to follow mattress and rug cleaning tips. Wash the mattress pad separately. Do this in hot water, at least once every two months. Anti-allergic mattress pads can also be washed. Vacuum the mattress itself using the vacuum’s wand or the upholstery attachment if you have one. 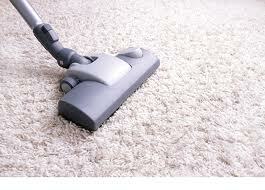 Pay special attention to indented and buttoned areas where the most dust and bacteria accumulate. Make sure to vacuum the mattress on all sides, if necessary get an extra pair of hands to help you with turning the mattress around and back again. This will improve overall hygiene and reduce cleaning frequency. Having said this, the more frequently you clean the mattress the better. Turning and cleaning the mattress on all sides will also reduce uneven wear. –Staining of organic and chemical origin usually requires specialised cleaning methods as homemade stain removal treatments usually do more harm than good. Place the rug face down on an old but clean bed sheet, do this on the floor. Vacuum the reverse side of the rug thoroughly. If your machine has a beater bar function use it at the lowest setting. Be thorough and don’t cut corners with vacuuming. When you are done with the reverse side flip the rug around and to the same to the top side. If the rug is not heavily stained, you can dab at dirtier patches with a soft cloth dipped in warm water. Wring out the towel well and keep a dry one nearby in order to blot out excess moisture. Do this several times. Grab a soft bristle carpet brush and dip it in fresh water, rinse it well and work it gently over the rug. This agitates the strands, exposes them to air and returns their suppleness or volume. The brush agitation will also remove any remaining dirt. 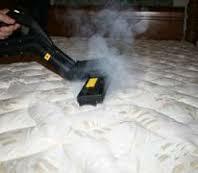 Removal of heavy stains from rugs and mattresses is best done using qualified help.